From 3D printing to Electronics, Video Gaming to Vehicle Design, give your young ones a unique high-tech experience at Black Country Atelier’s new digital hub in central Birmingham. Black Country Atelier (BCA) runs nationally recognized, family focused, events using the latest technologies such as 3D Printing and digital design. 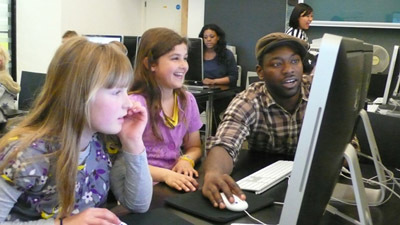 It is offering its unique programme of high-tech classes for the first time in the Midlands this Half Term. See how a car is created virtually in 3D, learn to program your own video game, and digitally design and manufacture your own range of toys! With workshops ranging from 1 day taster sessions to 4 day Masterclasses, there’s something for everyone in the family – from those who just love technology to those serious about starting careers in new high-tech industries. Suitable for young people aged 11 up to 18 (and accompanying mums and dads!). Each class will be led by practitioners in the industry and use the latest digital tools in BCAs hub, including 3D printers and Computer Aided Design packages. These tools are being used in industries as diverse as aerospace, manufacturing, and product design – so don’t miss out on this unique opportunity to work with technology of the future, and have a great family day out!